Elegant Directoire style beech wood writing desk with very original lines. It features inlays along the surface that make it a unique product. 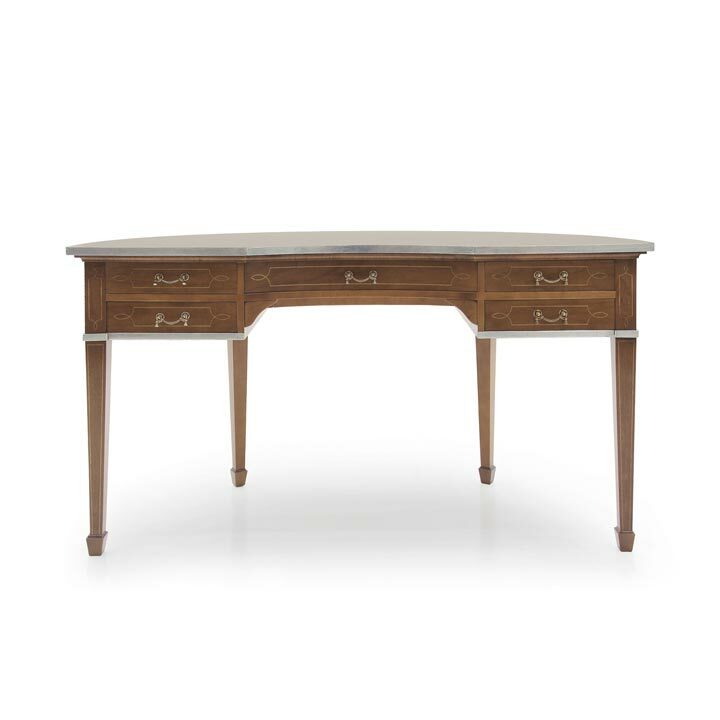 It has five drawers and we recommend a polished finish that allows the inlays to show through.